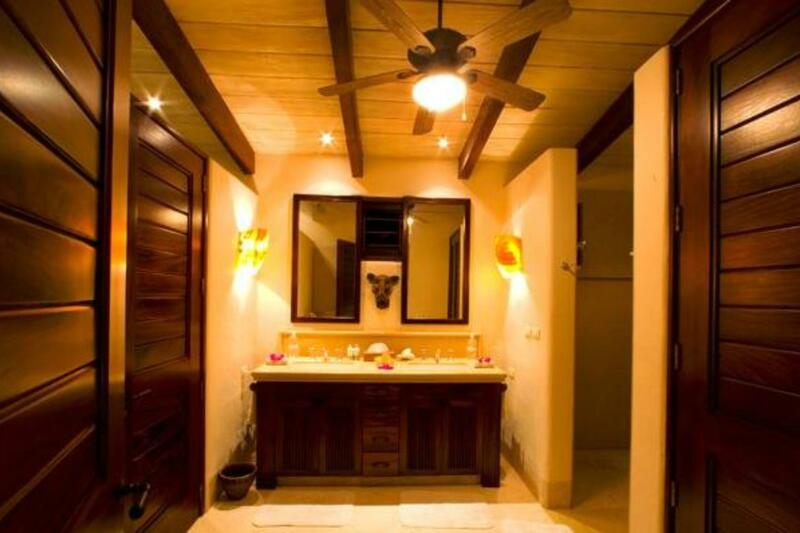 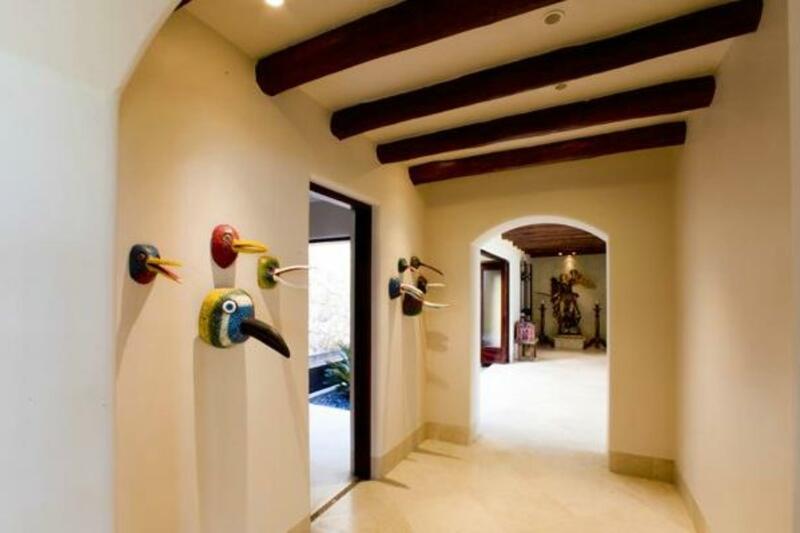 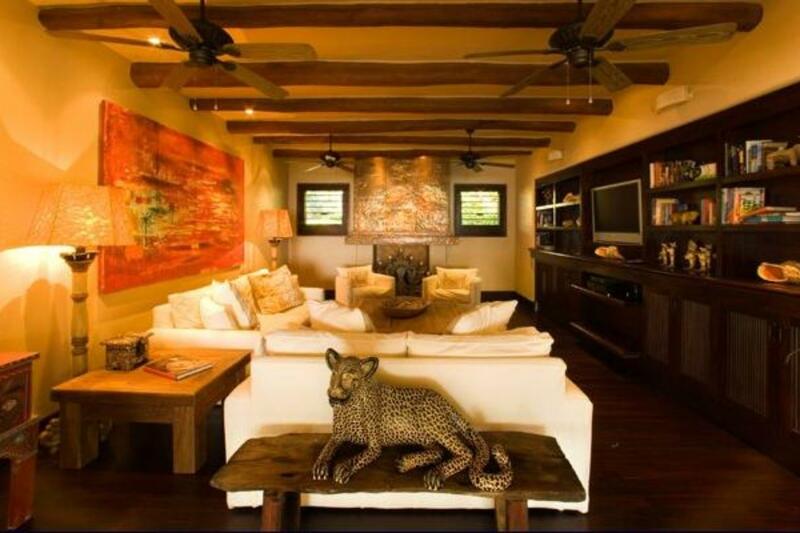 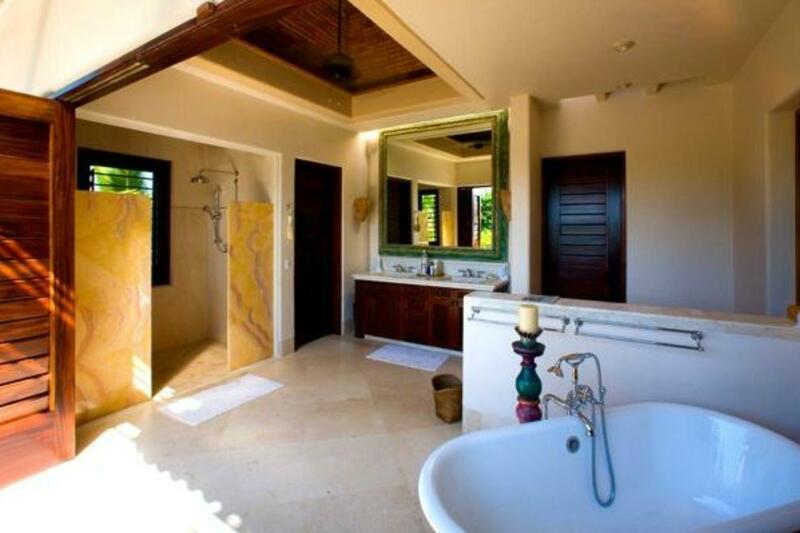 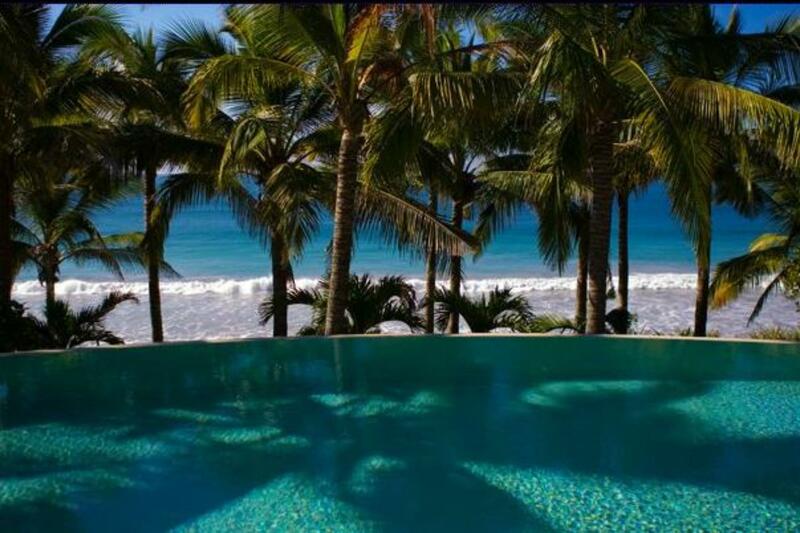 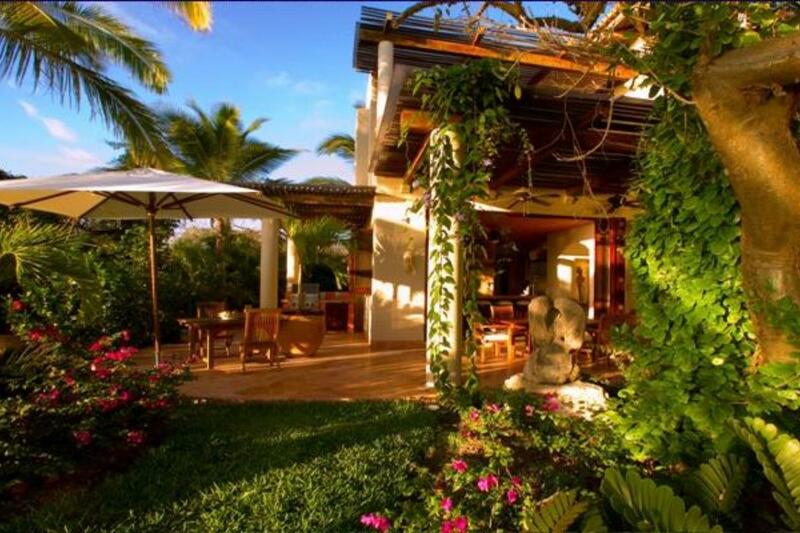 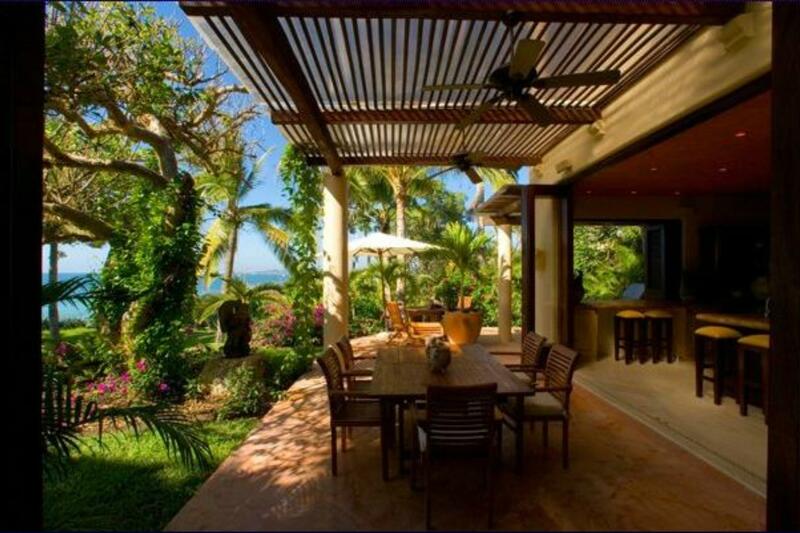 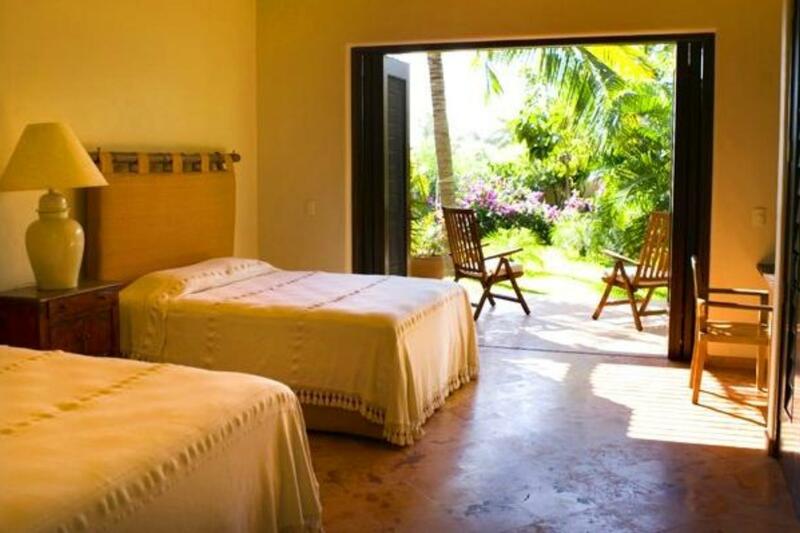 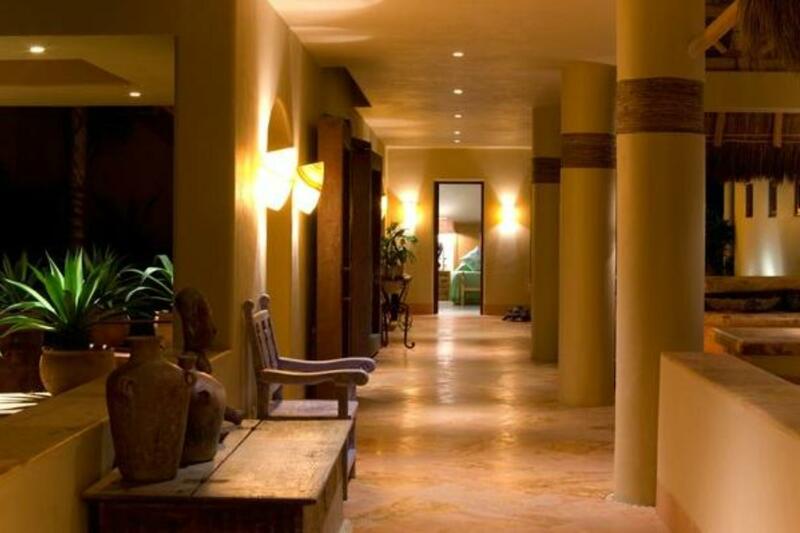 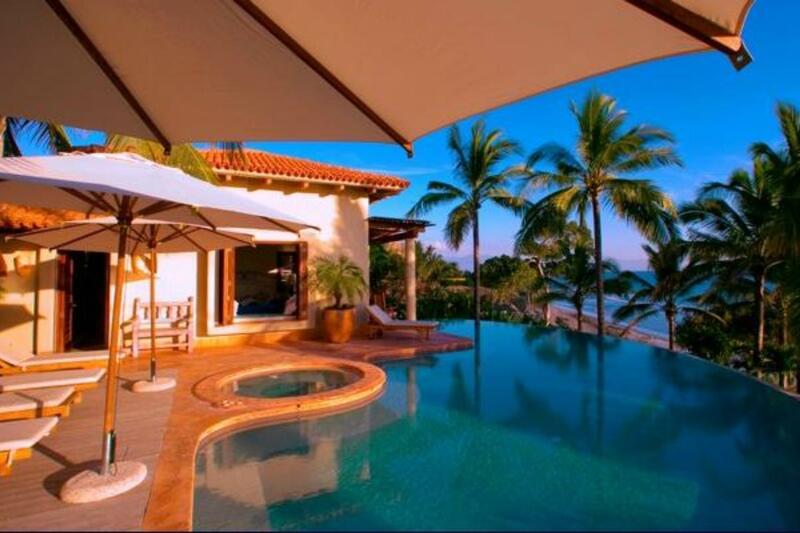 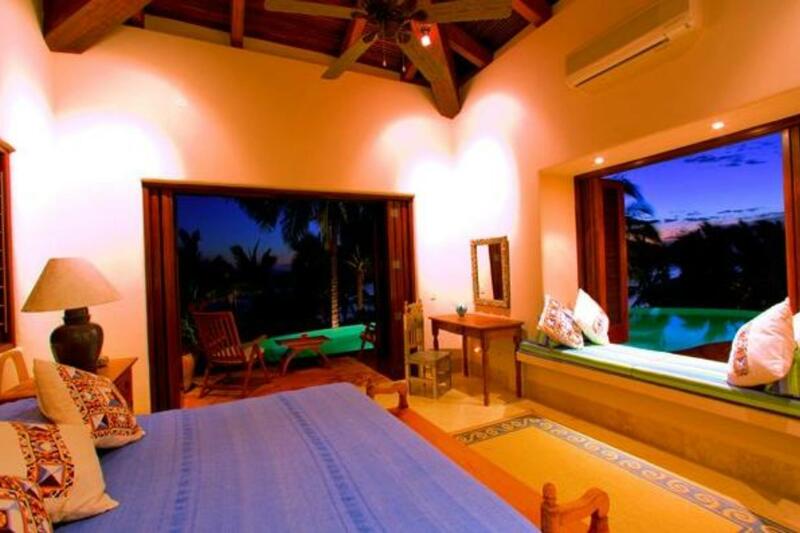 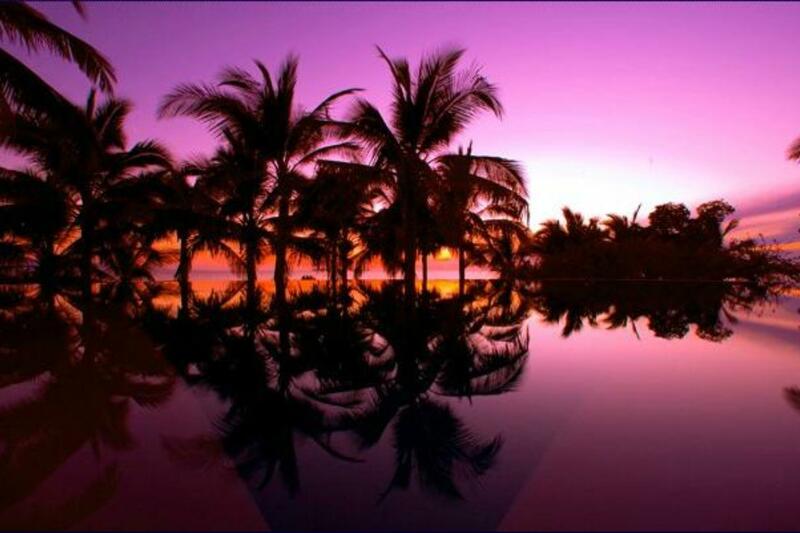 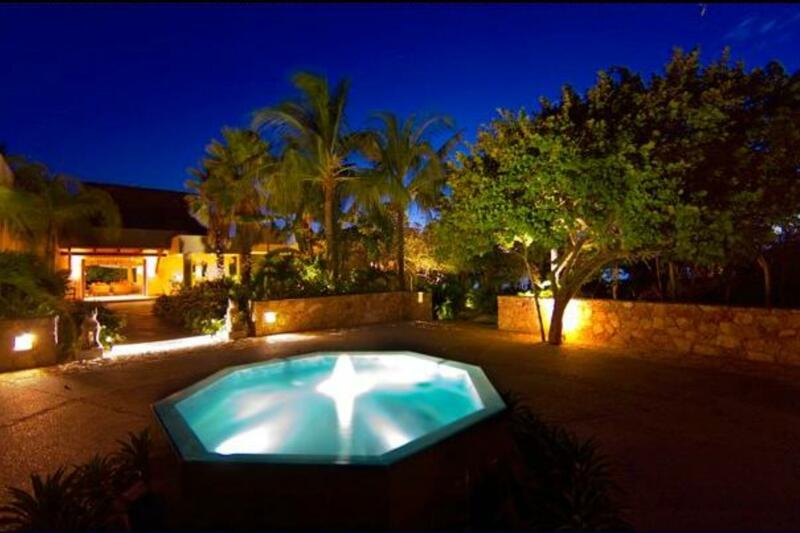 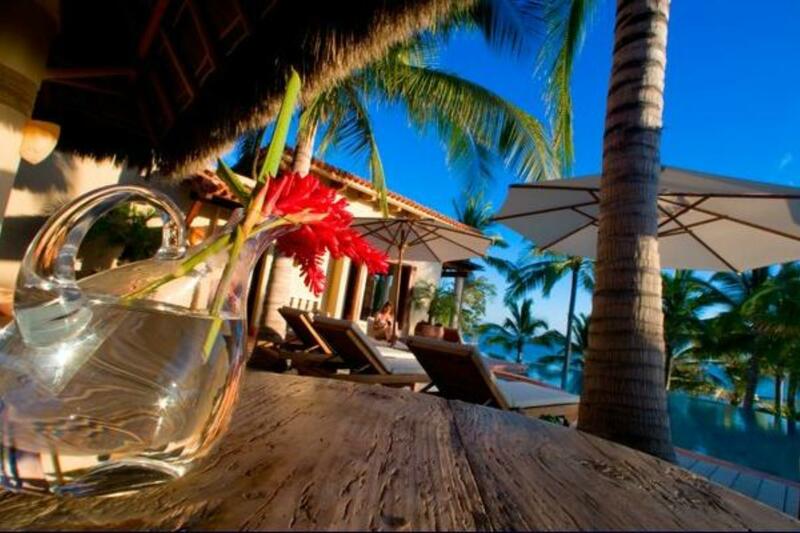 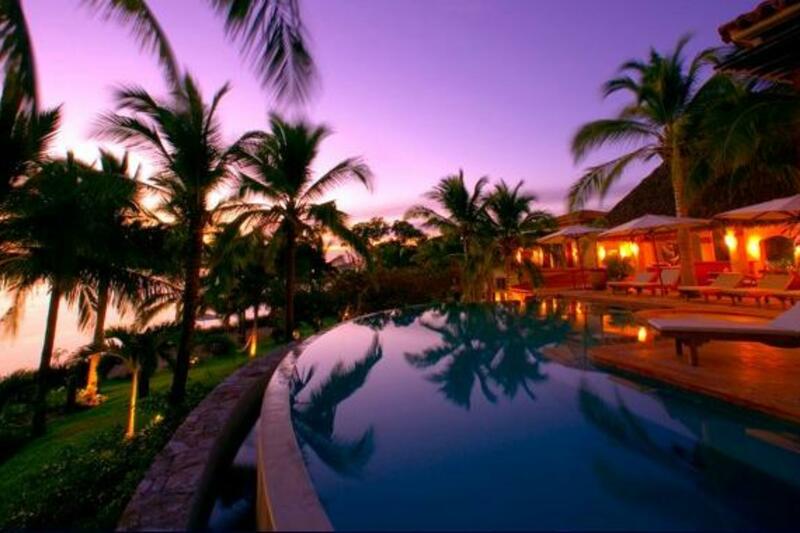 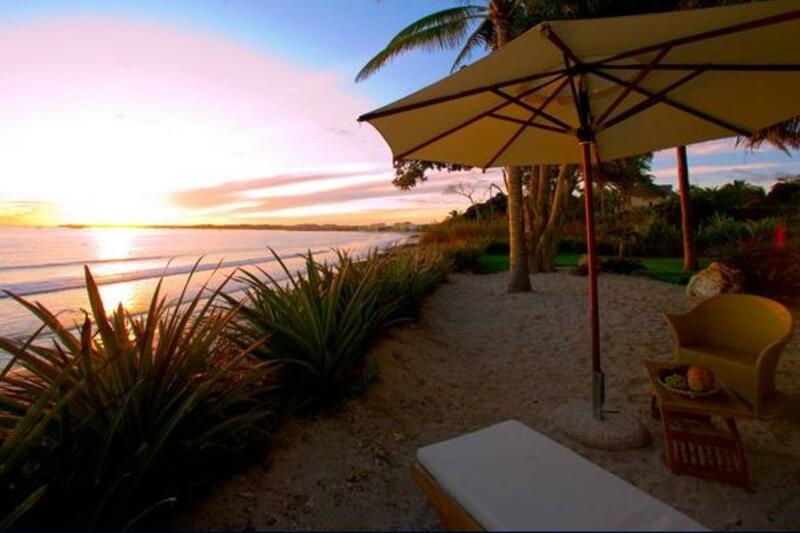 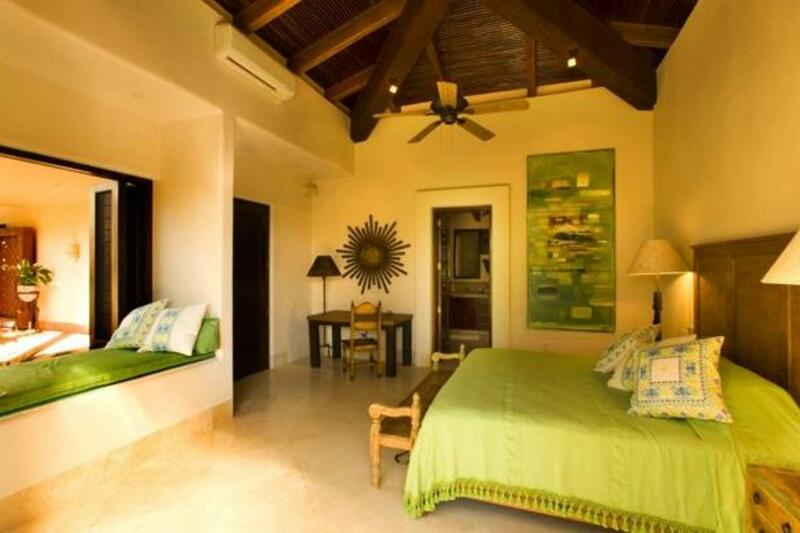 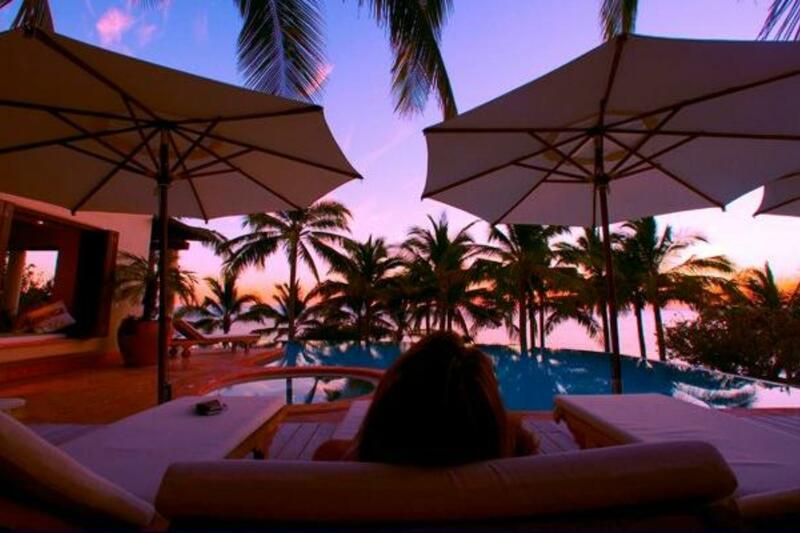 Guests who choose to stay at Estate Mariposa will enjoy the best of a Punta Mita vacation rental home. 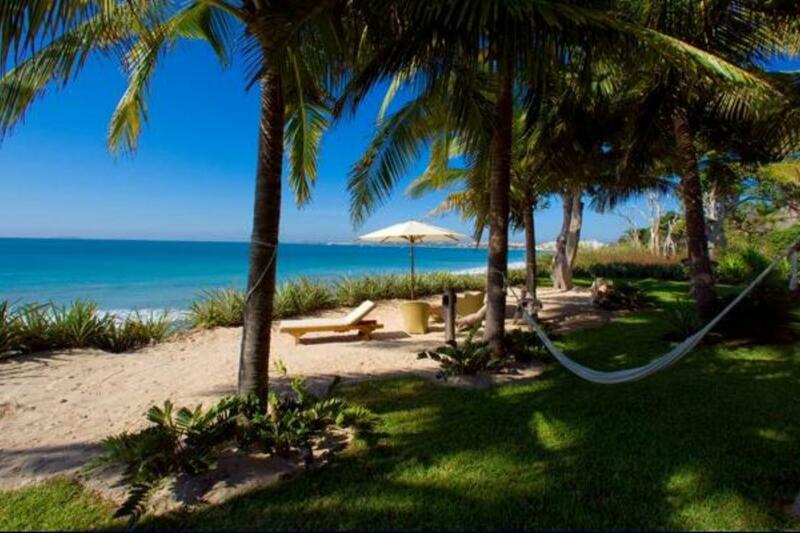 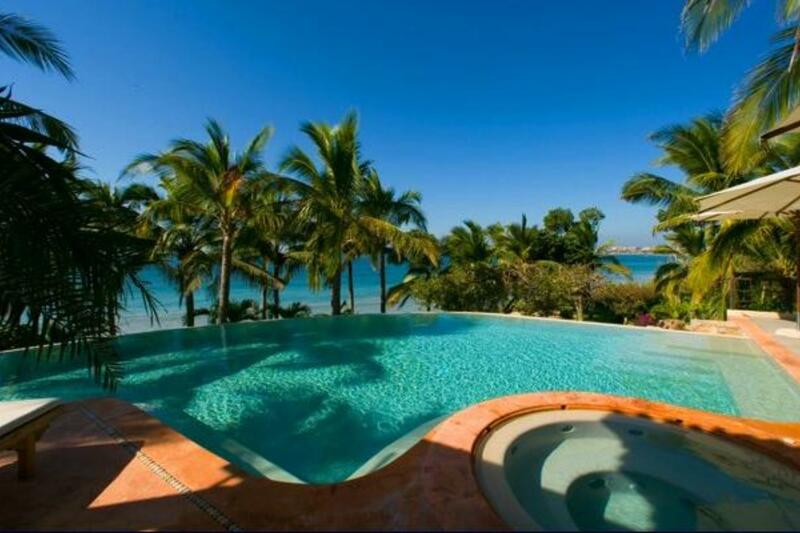 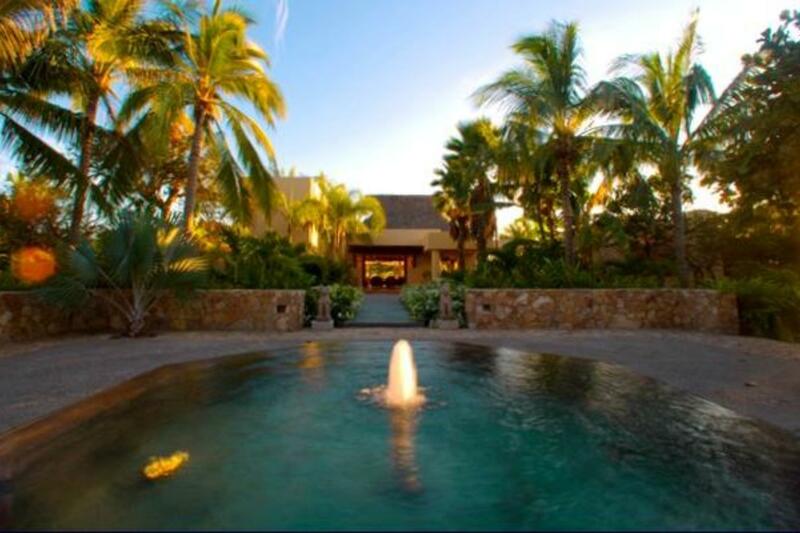 This beachfront villa is situated within the exclusive Ranchos Estates development, and features 182 feet of white sand shorelines just outside its doors. 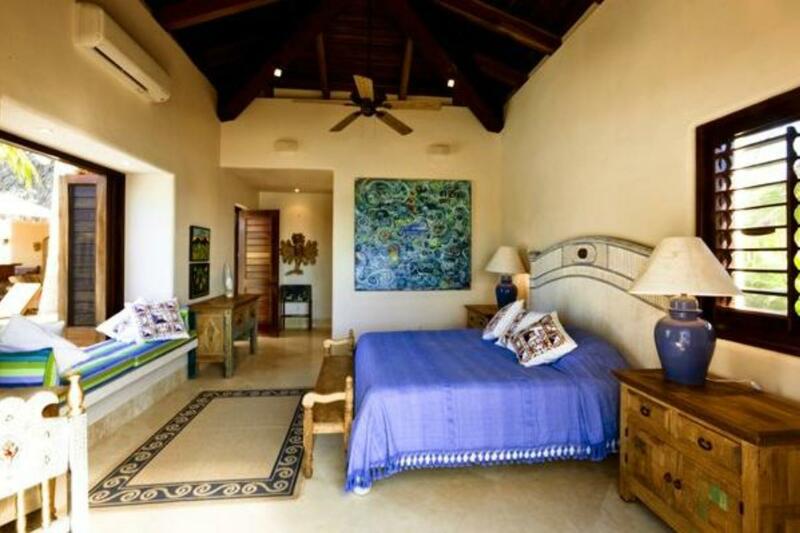 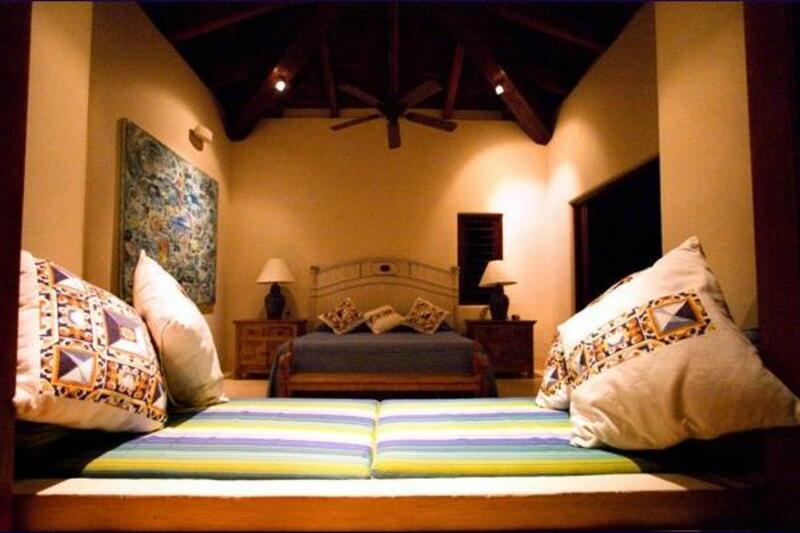 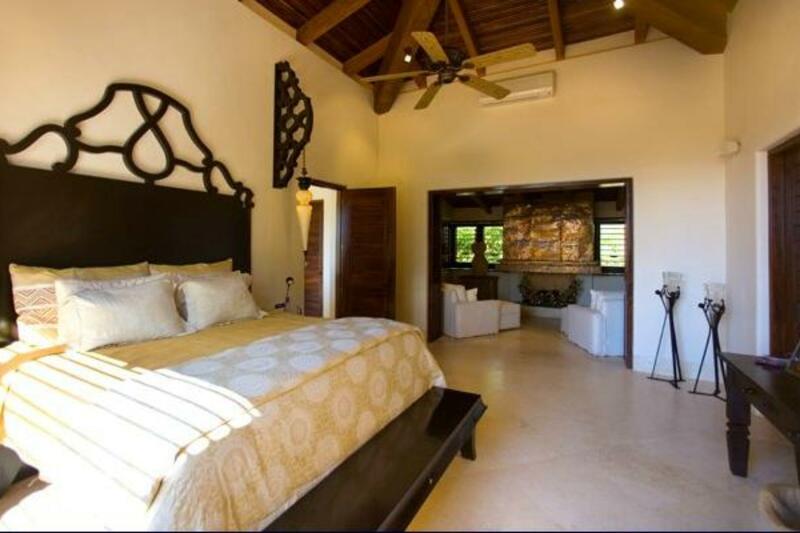 Five bedrooms comfortably sleep up to ten guests at Estate Mariposa, so whether you are traveling with the entire family or with a group of friends, you will find ample accommodations at this gorgeous Punta Mita villa. 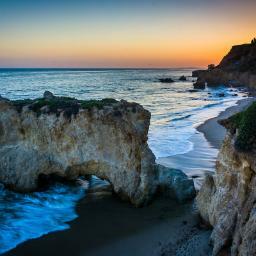 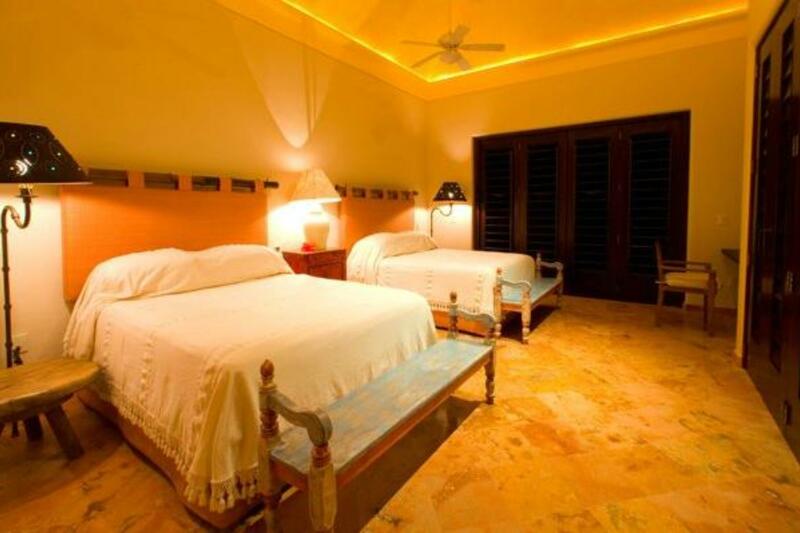 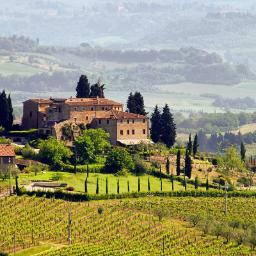 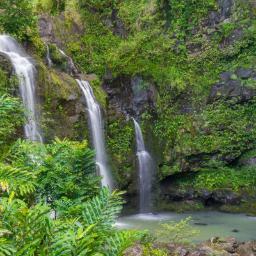 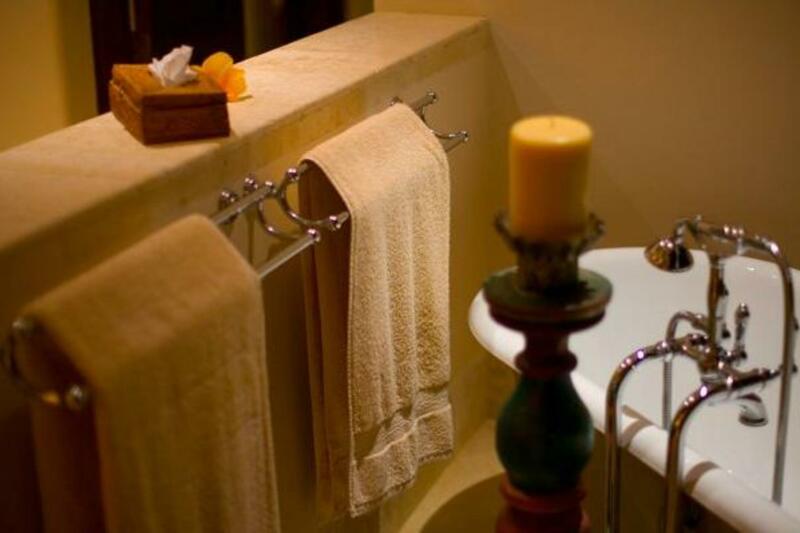 The first three bedrooms are sumptuously furnished with king beds, while the last two both boast a pair of queen beds. 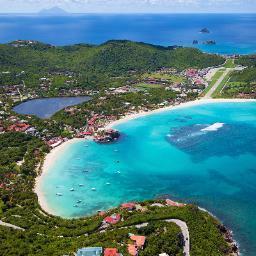 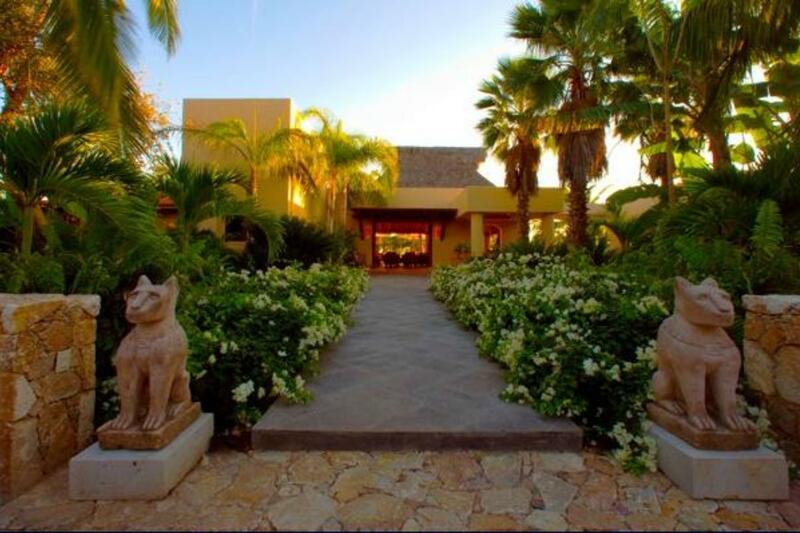 A gated estate, this villa features 13,000 square feet. 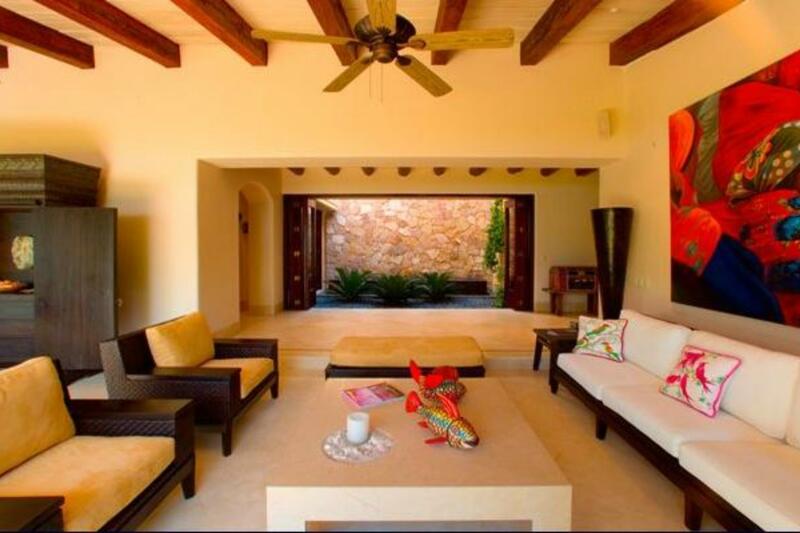 In addition to this ample living space, the estate also boasts lodging for staff and a garage. 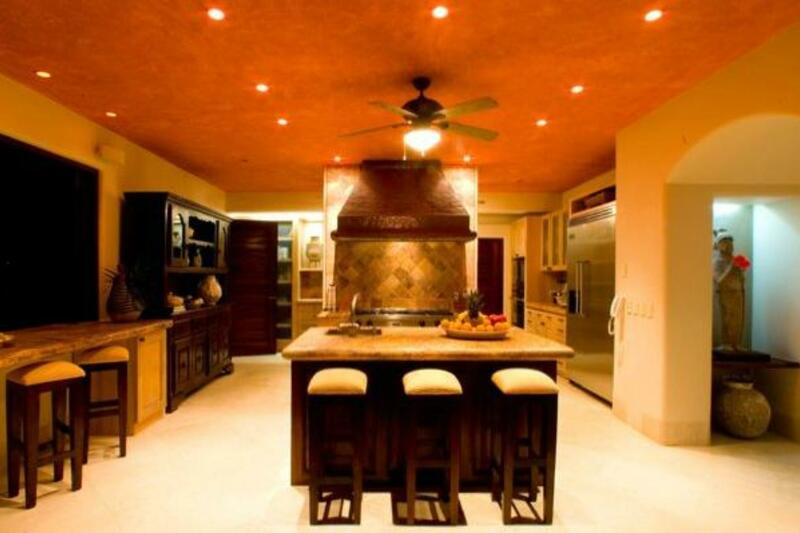 Inside, guests will find a kitchen fully equipped with modern appliances to make cooking meals at home a gourmet experience. 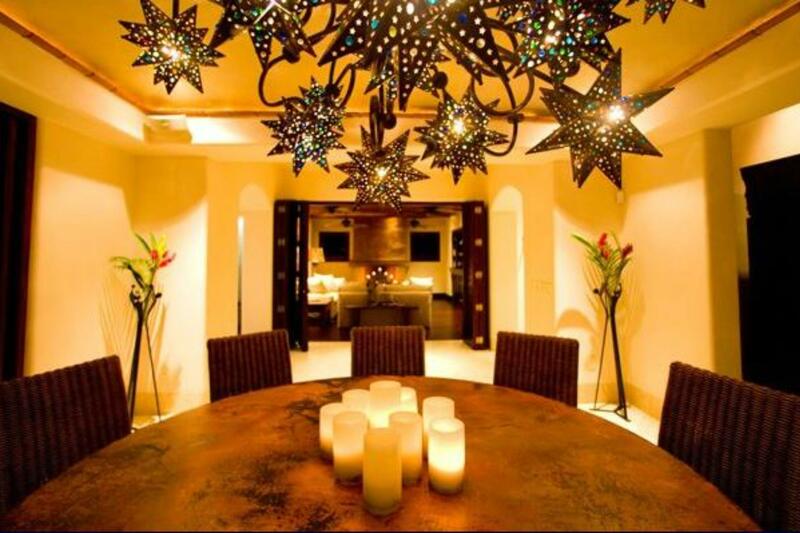 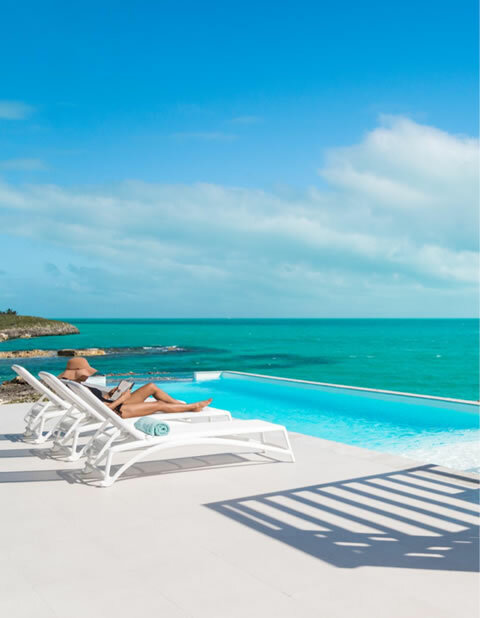 Guests will delight in the villa's living, dining, and media areas, offering the utmost comfort for relaxation, entertainment, and fine dining. 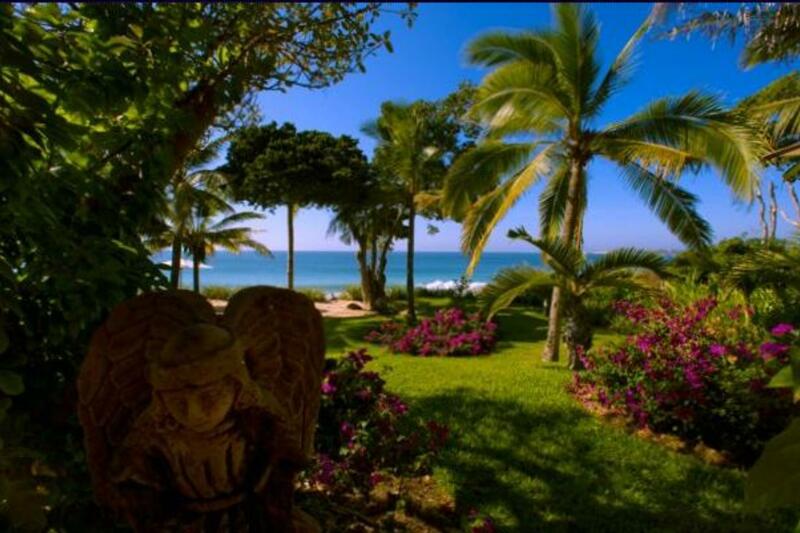 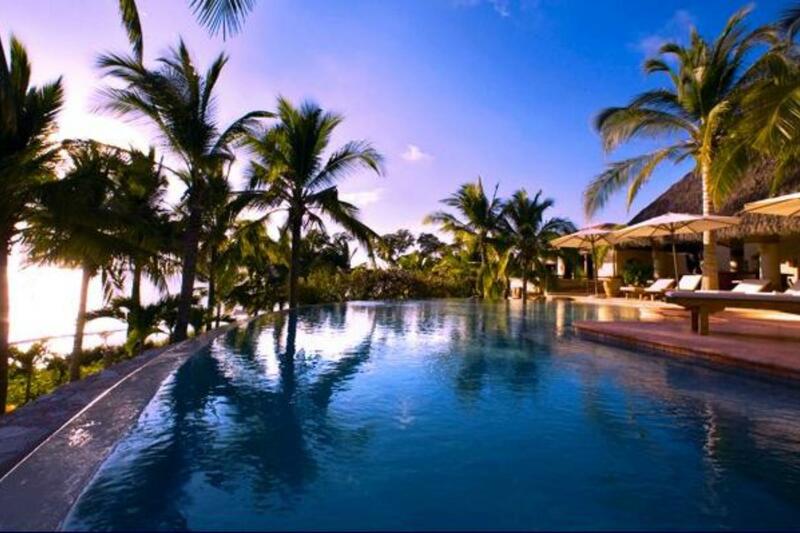 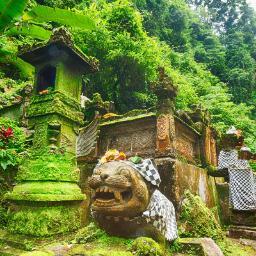 Spend time in nature on the villa's expansive gardens, optimally fitted with three stunning water features, a diverse array of colorful flora and fauna, and over one hundred coconut palms. 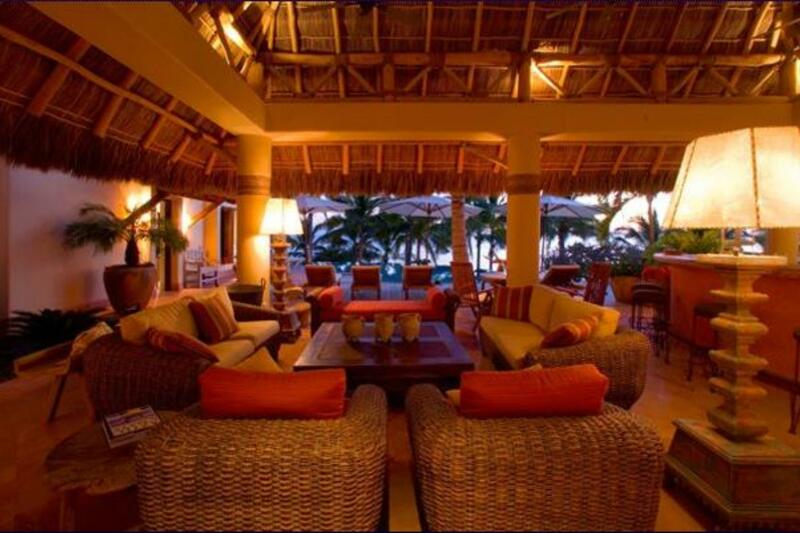 Outside, guests will also find a palapa furnished for lounging in the balmy seaside weather, a full bar, and a heated infinity pool with gorgeous views of the Pacific Ocean and the esteemed Bay of Banderas. 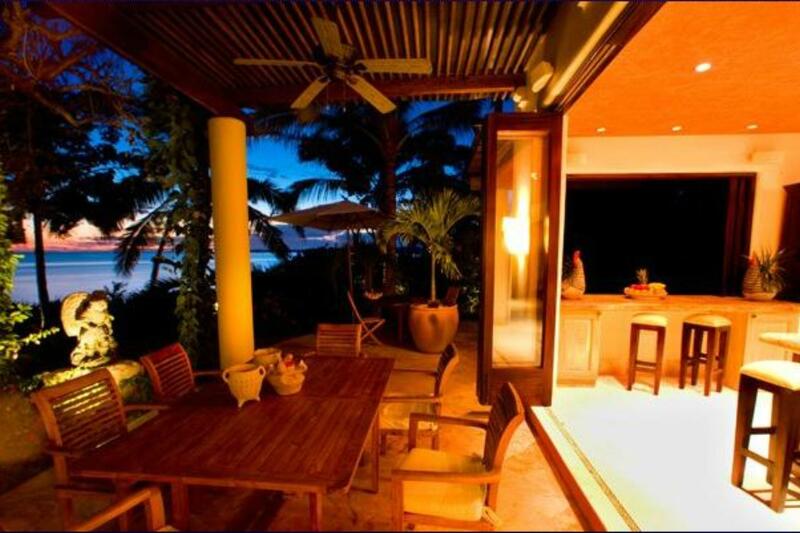 For afternoon barbecues, make use of the outdoor grill and al fresco dining area. 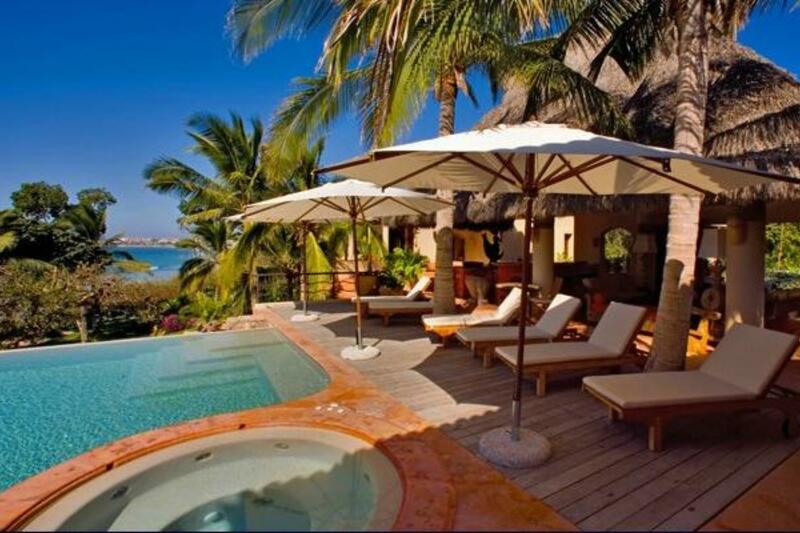 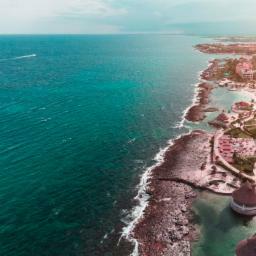 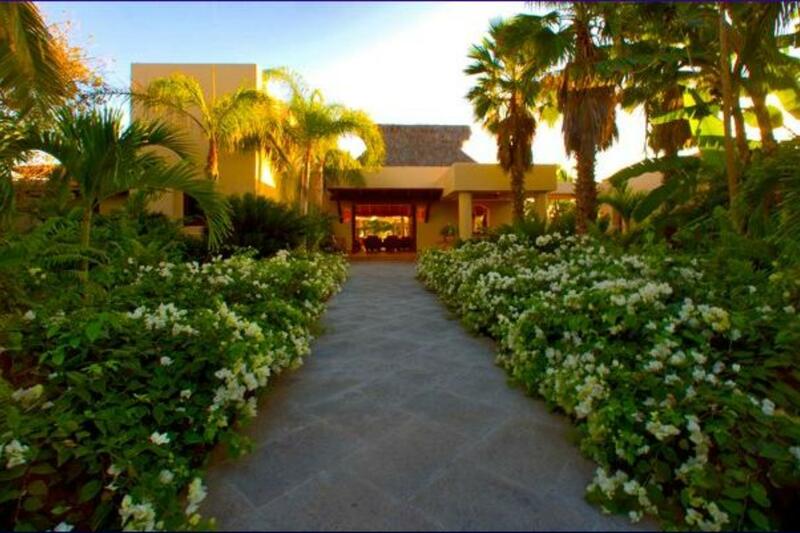 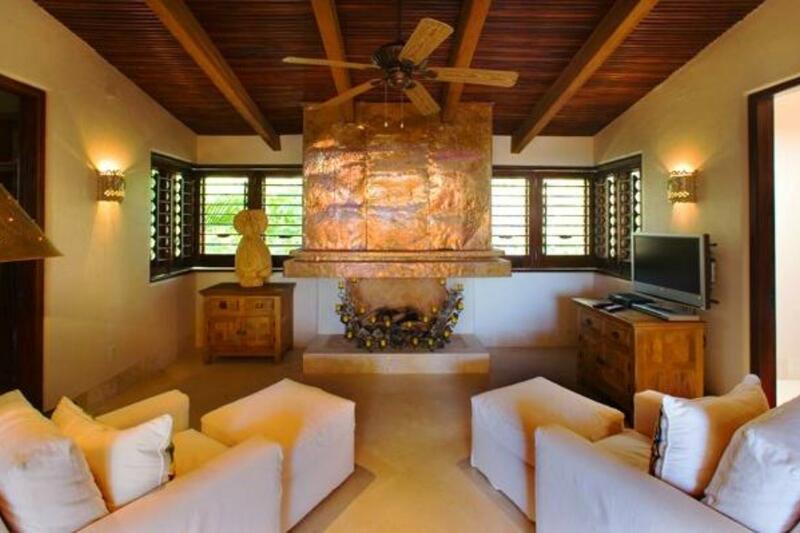 Additional amenities of this Punta Mita vacation home include a BOSE stereo system, wireless Internet, an office with a desktop computer, and round the clock security. 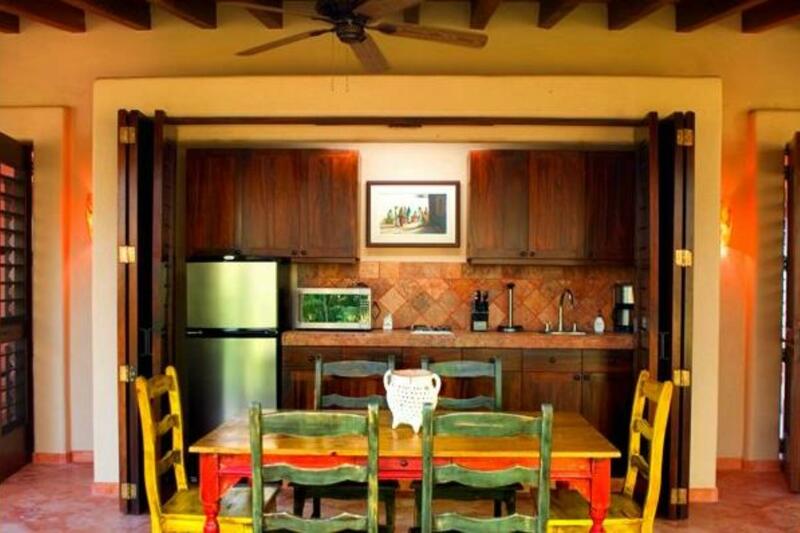 Guests will also find table tennis, kayaks, mountain bikes, and boogie boards available for any recreational activities they choose to enjoy while on their tropical retreat. 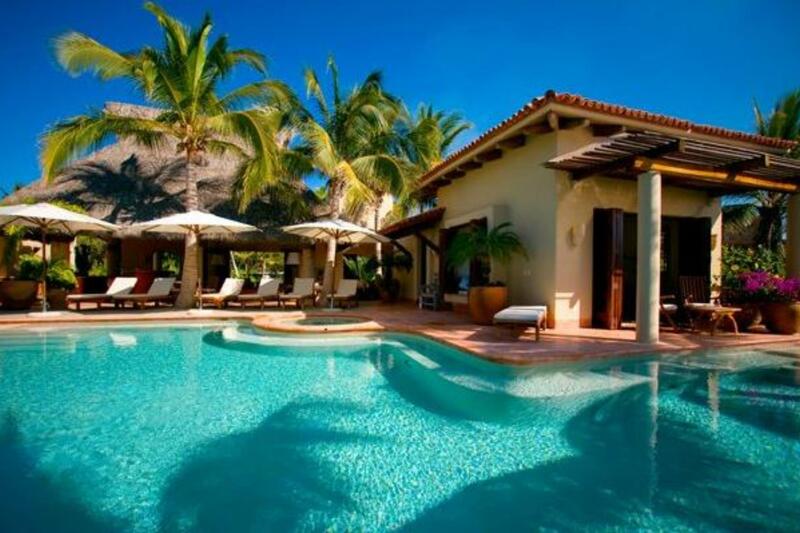 Enjoy the utmost luxury on your next tropical retreat when you book Estate Mariposa as your next Punta Mita vacation home today through Villaway.